There is Tara hill in ireland. It was a place for RajyaBhishek. A HUGE temple, once surrounded by about 300 huge posts made from an entire oak forest, has been discovered directly beneath the Hill of Tara in Co Meath. Tara was ancient tibean goddess. (Manu came from Tibet and established Ayodhya after “pralay”). Tara hill is evidence of their Tibetan origin. 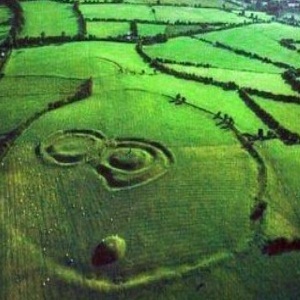 There were four tribes of Tara dweld in Ireland. One of the name of tribe was ui Dron . At the end of research I found that Tara hill stands for TRIHARI GARH / TEHRI GARHWAL. Tara hill was carrying tradtion of high king of Gwyddel(in Ireland) and Trihari garh was carrying of tradtion of High kin of Garhral.